The AP news reports that, "Late-term abortion doctor George Tiller, a prominent advocate for abortion rights wounded by a protester more than a decade ago, was shot and killed Sunday at his church in Wichita, a city official said." It's reasonable to assume unless proven otherwise that Tiller was killed by a Christian terrorist. One of the few remaining late-term abortion clinics is in Boulder, Colo., where Dr. Warren Hern denounced Tiller's killing as the "inevitable and predictable consequence of decades of anti-abortion" rhetoric and violence. "Dr. Tiller's assassination is not the lone and inexplicable action of one deranged killer," Hern said Sunday. "This was a political assassination in a historic pattern of anti-abortion political violence. It was terrorism." In light of this event it is useful to review some of the pertinent issues that we treated in a course we gave on Religion and Terrorism. We formulate them as basic questions mainly about recent American Christian terrorism, with one added question on the violence in Northern Ireland. 1. Isn't Christianity the religion of peace? Despite its central tenets of love and peace, Christianity like most traditions has always had a violent side. The bloody history of the tradition has provided images as disturbing as those provided by Islam or Sikhism, and violent conflict is vividly portrayed in both the Old and New Testaments of the Bible. This history and these biblical images have provided the raw material for theologically justifying the violence of contemporary Christian groups. Attacks on abortion clinics, for instance, have been viewed not only as assaults on a practice that some Christians regard as immoral, hut also as skirmishes in a grand confrontation between forces of evil and good that has social and political implications. 2. What then 'justified' bombing abortion clinics in the minds of Christian activists? Juergensmeyer develops the modes by which abortion opponents Bray and Hill clearly rely on religious justifications for their criminal acts. According to Bray, Christianity gives him the right to defend innocent 'unborn children,' even by use of force, whether it involves destroying the facilities that they are regularly killed in, or taking the life of one who is murdering them. By the latter, Bray means killing doctors and other clinical staff involved in performing abortions. The primary writings of Mr. Bray are themselves rather terrifying. See: Why I Shot An Abortionist Letter to the White Rose Banquet or A Time to Kill, A Call for Prolife Orgs to Repentance. 3. How do some theologians justify violence within Christian theology? A prominent thinker who advanced a Christian just war theory was Reinhold Niebuhr. Niebuhr wrestled with one of Christianity's oldest ethical problems: when it is permissible to use force - even violence - on behalf of a righteous cause. Niebuhr began his career as a pacifist, hut in time he grudgingly began to accept the position that a Christian, acting for the sake of justice, could use a limited amount of violence. 4. What are some of the Christian bases for fostering the role of religion in political life? Juergensmeyer discusses Reconstruction and presuppositionalism in Christian thought. Leaders of the Reconstruction movement trace their ideas, which they sometimes called 'theonomy,' to Cornelius Van Til, a twentieth-century Presbyterian professor of theology at Princeton Seminary who took seriously the sixteenth-century ideas of the Reformation theologian John Calvin regarding the necessity for presupposing the authority of God in all worldly matters. Followers of Van Til, including his former students Bahnsen and Rousas John Rushdoony, and Rushdoony's son-in-law, Gary North, adopted this 'presuppositionalism' as a doctrine, with all its implications for the role of religion in political life. 5. How did some Christians justify the Oklahoma City Federal Building bombing (April 19, 1995)? Christian Identity ideas were most likely part of the thinking of Timothy McVeigh, the convicted bomber of the Oklahoma City federal building. McVeigh was exposed to Identity thinking through the militia culture with which he was associated and through his awareness of the Christian Identity encampment, Elohim City, on the Oklahoma-Arkansas border. One noteworthy book that influenced McVeigh was The Turner Diaries. Juergensmeyer explains how far these guys believe one must go to foster Christian hegemony over America. Pierce's novel, written under the pseudonym Andrew Macdonald, was the main vehicle for his Identity/Cosmotheist ideas. Published in 1978, it describes an apocalyptic battle between freedom fighters and a dictatorial American government. The novel soon became an underground classic. Although written almost eighteen years before the 1995 Oklahoma City blast, a section of The Turner Diaries reads almost like a news account of the horrifying event. It describes in chilling detail how the fictional hero blew up a federal building with a truckload of - a little under 5000 pounds - of ammonium nitrate fertilizer and fuel oil. Timothy McVeigh's own truck carried 4,400 pounds of the same mixture, packaged and transported exactly as described in the novel. According to Pierce's story, the purpose of the bombing was to launch an attack against the perceived evils of the government and to arouse the fighting spirit of all 'free men.' According to Pierce, such efforts were necessary because of the mindset of dictatorial secularism that had been imposed on American society as the result of an elaborate conspiracy orchestrated by Jews and liberals hell-bent on depriving Christian society of its freedom and its spiritual moorings. 6. How do Protestants and Catholics justify their ongoing terrorist struggle in Northern Ireland? Perhaps none of these Protestant figures was more quarrelsome than the Reverend Ian Paisley. Hartley agreed that Paisley, perhaps more than any other figure in the Catholic-Protestant dispute, brought religion into the politics of Northern Ireland and employed religious ideas and images in legitimizing the use of violence. Paisley was a firebrand Protestant preacher who was born into a Baptist family of Scottish ancestry in Northern Ireland in 1926. Eventually he broke with the established Protestant denominations and founded the Free Presbyterian Church, for which his own Martyrs Memorial Church on Ravenhill Road, Belfast, is the flagship congregation. New York State tax authorities shut down the bagel emporium, renowned even before it was featured on “Seinfeld” and in the Tom Hanks film “You’ve Got Mail,” for three hours on Friday because its owners had failed to pay tens of thousands of dollars in sales and withholding taxes. A Wired writer argues convincingly that there is merit to opening up every book via a certain kind of digital publishing to create a vivid public world of text and commentary for every paragraph of writing. Now surely this mode of publishing will lead to a Talmudic-looking reading, by establishing quasi-canonical texts and a means for discussion and debate around them. But what would be missing from such a universe? The silent hand of the redactors. All of us who have labored over the study of the Talmud for years know that it has a deliberate set of logical, rhetorical and stylistic characteristics imposed with care on the discussions of the texts by the work of its editors. By contrast, the open model encouraged by Thompson in Wired, would lack such a finishing. And though its product would make some entertaining and wholly lively reading day-by-day, it would not produce the kind of lasting documentary legacy like that of the Talmud, a crafted dialectical literature whose collective wisdom and commentary in their final form grew out of the minds of compilers with a clear and consistent vision. When McKenzie Wark wrote Gamer Theory—an analysis of why people enjoy playing videogames—Harvard University Press published it as a conventional hardcover. But Wark also put it online using CommentPress. The free blog theme blew the book open into a series of conversations; every paragraph could spawn its own discussion forum for readers. Sure enough, hundreds dove in, and pretty soon Gamer Theory had sparked erudite exchanges on everything from Plato's cave to Schopenhauer's ideas on boredom. It felt as much like a rangy, excited Twitter conversation as it did a book. "It was all because we opened it up and gave readers a way to interact with each other," Wark says. "It changed the way they read the book." Books are the last bastion of the old business model—the only major medium that still hasn't embraced the digital age. Publishers and author advocates have generally refused to put books online for fear the content will be Napsterized. And you can understand their terror, because the publishing industry is in big financial trouble, rife with layoffs and restructurings. Literary pundits are fretting: Can books survive in this Facebooked, ADD, multichannel universe? To which I reply: Sure they can. But only if publishers adopt Wark's perspective and provide new ways for people to encounter the written word. We need to stop thinking about the future of publishing and think instead about the future of reading. Every other form of media that's gone digital has been transformed by its audience. Whenever a newspaper story or TV clip or blog post or white paper goes online, readers and viewers begin commenting about it on blogs, snipping their favorite sections, passing them along. The only reason the same thing doesn't happen to books is that they're locked into ink on paper. Release them, and you release the crowd. BookGlutton, a site that launched last year, has put 1,660 books online and created tools that let readers form groups to discuss their favorite titles. Meanwhile, Bob Stein, an e-publishing veteran from the CD-ROM days, put the Doris Lessing book The Golden Notebook online with an elegant commenting system and hired seven writers to collaboratively read it. Neither move should come as a surprise. Books have a centuries-old tradition of annotation and commentary, ranging from the Talmud and scholarly criticism to book clubs and marginalia. Stein believes that if books were set free digitally, it could produce a class of "professional readers"—people so insightful that you'd pay to download their footnotes. Sound unlikely? It already exists in the real world: Microsoft researcher Cathy Marshall has found that university students carefully study used textbooks before buying them, because they want to acquire the smartest notes. The technology is here. Book nerds are now working on XML-like markup languages that would allow for really terrific linking and mashups. Imagine a world where there's a URL for every chapter and paragraph in a book—every sentence, even. 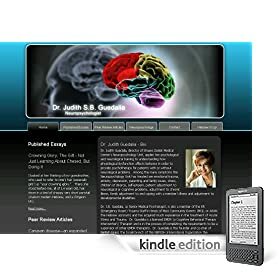 Readers could point to their favorite sections in a MySpace update or instant message or respond to an argument by copiously linking to the smartest passages in a recent best seller. This would massively improve what bibliophiles call book discovery. You're far more likely to hear about a book if a friend has highlighted a couple brilliant sentences in a Facebook update—and if you hear about it, you're far more likely to buy it in print. Yes, in print: The few authors who have experimented with giving away digital copies (mostly in sci-fi) have found that they end up selling more print copies, because their books are discovered by more people. I'm not suggesting that books need always be social. One of the chief pleasures of a book is mental solitude, that deep, quiet focus on an author's thoughts—and your own. That's not going away. But books have been held hostage offline for far too long. Taking them digital will unlock their real hidden value: the readers. Professor Jonathan Sarna is the world's leading expert on the history of American Judaism. He brilliantly rebuts Rabbi Norman Lamm's predictions about the future of American Judaism in the Forward, noting five substantial challenges facing the denomination and concluding, "In the world of religion, smugness and self-assurance are usually risky. As Reform Judaism, Conservative Judaism and Mainline Protestant denominations have discovered, success in the present provides no guarantees for the future. If anything, saying Kaddish for other religious movements has often been the first sign of a movement’s own impending decline." In the Times Roger Cohen writes an erudite and literate op-ed, "Obama in Netanyahu’s Web." He concludes it with these seriously wrong statements. Netanyahu talks a lot about the “existential threat” from Iran. 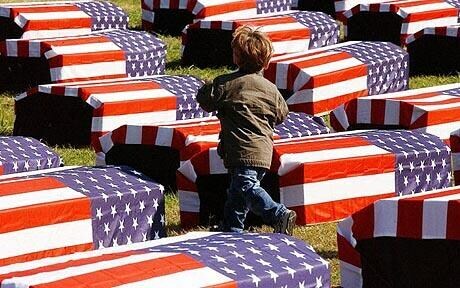 The United States faces a prosaic daily threat: Many more young American men and women will die in Iraq and Afghanistan over the next several years if no Iranian breakthrough is achieved. Obama must remind Israel of that. He should also tell Bibi that the real existential threat to Israel is not Amalek but hubris: An attack on Iran that would put the Jewish state at war with Persians as well as Arabs, undermine its core U.S. alliance, and set Tehran on a full-throttle course to a nuclear bomb with the support of some 1.2 billion Muslims. The connection between American deaths in two wars and Iran is entirely fictive nonsense. Obama can end both of Bush's wars regardless of what goes on in Persia. Cohen's closing doomsday scenario is more wrong both because it is a fiction meant to scare us and because it is ludicrous to imagine that the Israelis under Bibi or any other leader do not know and calculate every possible political and diplomatic outcome of every statement and action that they make. Yes we are worried that Bibi may believe his application of the Amalek myth. But he's a hard-liner, not a maniac. And isn't it utterly amazing to find a discussion of Amalek on the Times editorial page? Surely a proof that the messiah is on his way. The Reform and Conservative Movements are disappearing, Yeshiva University Chancellor Rabbi Norman Lamm said over the weekend. "With a heavy heart we will soon say kaddish on the Reform and Conservative Movements," said Lamm, head of the Rabbi Isaac Elchanan Theological Seminary, in an interview with The Jerusalem Post. Rabbi Lamm"s remarks set off a furor of criticism. But the poor man just was making a prediction. He did not mean to hurt anyone. No need therefore for him to apologize! The clairvoyant rabbi has now been quoted in another Israeli publication, the Jerusalem Enquirer, where he offers up his ten top predictions for the future of Judaism. 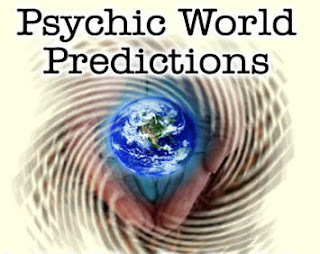 Remember, the rabbi is but an empty vessel through which unbelievable psychic and prophetic wisdom passes. The Conservative movement of Judaism will declare chapter 11 bankruptcy and convert its synagogues into health spas. The Reform movement of Judaism will become a Protestant denomination. The Jewish Theological Seminary building will be turned into a mega-church for the new Reform movement. The Chabad Lubavitch Hasidic organization will declare Rabbi Shmuley Boteach to be its Rebbe. He will publish a book called "Kosher Seating," permit mixed pews in synagogues and open a mega-synagogue in Dallas, Texas. To boost its sagging enrollments, Yeshiva University will create a Spanish-Language Dominican Studies Program and enroll 10,000 new local students from Washington Heights. The "Talmud in Spanish" will become the most popular course at the College. A great rabbi will die or he will move with his family from New York City to Israel. A wealthy American Jew will be arrested as a result of a financial scandal. A corrupt Israeli politician will be jailed as a result of a bribery scandal. Two prominent Hollywood Jews of the same gender will marry or some intermarried Hollywood Jews will divorce their non-Jewish spouses. The messiah will appear, and he will be seen riding on a Lamm lamb going up the hill to Jerusalem. Is Judge Sonia Sotomayor a socialist? Steve Waldman at Beliefnet was one of the first to point out that the White House has circulated Judge Sotomayor's 1976 Princeton yearbook entry, in which she quotes Norman Thomas. Citing Wikipedia, Waldman calls Thomas, "The leading American Socialist politician of the 20th century." Actually, Wikipedia now describes Thomas as, "a leading American socialist, pacifist, and six-time presidential candidate for the Socialist Party of America." There are a few problems with the potential tempest in a teapot that such a citation may stir up during the Judge's confirmation hearings. First off, catching this socialist quotation is just a "gotcha" moment, not a serious review of any of the Judge's political attitudes. But more to the point, we have a theory about how the Judge got this quotation. Norman M. Thomas, class of 1905.
but the champion of causes not yet won." The Judge's use of this quotation cuts two ways with us. First it suggests to us that she scrambled for a last minute quote for her yearbook entry and picked one from the wall of a library. But then, on the positive side, this confirms to us that Sotomayor was one of those students at Princeton who actually entered a library. As this professor can attest, many students he's taught did not know where any of their campus libraries were located. But then again, this small library is in the Forbes residential college; it is not Princeton's main library. The Norman Thomas 1905 Library at Forbes College, "Contains a general collection, reference books and periodicals, as well as an extensive science fiction collection." Admittedly, there are plenty of problems with our library-plaque-quotation theory. We don't know if there was a library at that residential college in 1976. And we don't know if there was a plaque up during that time. Prior to 1984 (from 1970 to 1983) the college was called the Princeton Inn College, and its residents were called "Innmates." We further don't know if Sotomayor was a resident of that college. It's a weak theory. So, having explored all that, let the confirmation hearing socialist quotation gotchas begin. A serious loss. The great Israeli writer Amos Elon has passed away. We assigned his books to many of our students. They told the story of the founding of Zionism and the State of Israel with great beauty, style and clarity. Mr. Elon, whose work examined his society’s flaws and myths, was for many years Israel’s most renowned intellectual. Is Architect Frank Gehry Jewish? Yes, architect Frank Gehry is a Jew and the grandson of a Talmudic scholar. Gehry was born into a Polish-Jewish family in Toronto, Canada. Barbara Isenberg says on HuffPost in her essay, "Travels with Frank Gehry" that, "Gehry's grandfather was a Talmudic scholar who taught him to be curious and ask questions, and the two of them would often talk about the Talmud when they were at the family hardware store fixing clocks or cutting glass." Have we been too tough on Rabbi Norman Lamm? ...Unfortunately, Rabbi Lamm's comment has been distorted, and even more unfortunately, the reputation of a man who has long fought a lonely battle to support his Reform and Conservative colleagues has been tarnished. The full citation from Rabbi Lamm reads: "With a heavy heart, we will soon say Kaddish on the Reform and Conservative movements." Rabbi Lamm has not - and apparently has never - adopted a denigrating attitude to the non-Orthodox denominations. As recently as two months ago, Rabbi Lamm wrote - in his obituary for Rabbi Emmanuel Rackman - that he believed a disservice was done to American Judaism because denominational tags were allowed dictate one's commitment to Judaism. We surely would like to agree with Rabbi Farber that some injustice has been done to Rabbi Lamm. But we cannot. We simply will not allow Lamm's past statements or good deeds to be brought as evidence that a present misdeed is justified. The chutzpah of saying what Lamm said is beyond dispute. He blows off as irrelevant two major movements of his own religion! Rabbi Farber ought to know better than to try to defend this kind of egregious attack rhetoric. And to invoke in his defense, Lamm's "obituary for Rabbi Emmanuel Rackman" is utterly ironic. Decades ago, an ambitious Rabbi Lamm trampled the on reputation of his closest competitor, Rabbi Rackman, so that he could ascend to the presidency of Yeshiva University. No, we believe that we have not been tough enough on Rabbi Lamm. If anything like his off-the-wall obituary for Reform and Conservative Judaism was uttered by a non-Jew, all of us would be hollering from Brooklyn to Tel-Aviv about the evils of that person's antisemitism. We are duty bound to announce it loud and clear. Rabbi Lamm, that man, has lost his senses. He has gone off the deep end. That man served in a position of authority in Orthodox Judaism. He has disgraced the responsibility of that position. He has had time, but Lamm has not apologized. He has had opportunity, but Lamm has not claimed that he was misquoted. Let us say to our Conservative and Reform colleagues and fellow Jews. The writer of this blog is one Orthodox Jew who does not support Rabbi Lamm's opinions, attitudes, moods or motivations. Lamm is wrong. We are sorry about what he said. We are proud of the accomplishments of our Conservative and Reform brothers and sisters. Please keep up your good work, live long and prosper. Meet Jewish American Girl, Rebecca Rubin, "She is a 9-year-old girl living on the Lower East Side in 1914 with her Russian-Jewish immigrant parents, siblings and a grandmother known only as Bubbie." The Lower East Side Jewish American Girl Doll goes on sale soon with a strong Teaneck marketing connection! ...The goal is that no one be offended and that Jewish and non-Jewish little girls alike will want to play tenement house with their new toy, which costs $95 — plus more for accessories like a sideboard with a challah resting on it. The preliminary research that led to Rebecca’s development started in 2000, said Shawn Dennis, the senior vice president for marketing. 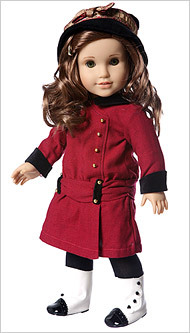 American Girl had wanted to do a doll focused on the immigrant experience. After work by two in-house historical researchers, and interviews with focus groups, it was decided to make the character Jewish. To write the books, the company found Jacqueline Dembar Greene, who had written a historical novel for young adults set in 1654 about Jewish immigrants to New Amsterdam. Ms. Greene and company researchers made a trip to Manhattan, visiting the Lower East Side Tenement Museum and a row house on East Seventh Street. There was back and forth between Ms. Greene and American Girl executives about how to handle certain situations, including the fact that in the first book Rebecca and her father work in his Rivington Street shoe shop on Saturdays, the Jewish Sabbath. To Elie Rosenfeld, the chief operating officer of Joseph Jacob Advertising, whose firm was hired to help market Rebecca through Jewish publications and direct mailings to Jewish households, historical matters were of less concern than ones which would trigger a reaction in modern Jews. Mr. Rosenfeld read the books with an eye to weeding out mentions of garish physical characteristics, obscure religious practices, or stereotypical professions. But he said he found nothing to cut. “By the time we saw everything, it was so well put together there was nothing we had to pull out and say stop the presses you can’t run this,” he said. Rebecca’s release date was originally scheduled to be June 1, but it was moved to coincide with Manhattan’s Israel Day parade. What ever happened to the Rockaways in Queens NY? It was a Jewish paradise for our parents, grandparents and great-grandparents in the summer and all-year-round. My father vividly recalls walking to his school in the Rockaways where his family lived when he was a child. Here are the links to some fascinating answers from the Times about what happened to the Rockaways in Queens NY. 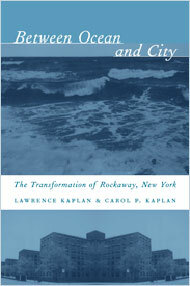 Lawrence Kaplan and Carol P. Kaplan, the authors of “Between Ocean and City: The Transformation of Rockaway, New York,” answered questions about the history of this once popular seaside resort in southern Queens. Read the first set of responses, May 20. Read the second set of responses, May 21. Read the third set of responses, May 22. Shortly after World War II, large parts of this narrow peninsula between the ocean and the bay became some of New York City’s worst slums. Mr. Kaplan, a historian who grew up in the community, and his wife, a social worker, together present an illuminating account of this transformation, exploring issues of race, class, and social policy and offering a significant revision of the larger story of New York City’s development. For example, the authors qualify some of the negative assessments of Robert Moses, suggesting that he attempted many positive initiatives for Rockaway. Based on extensive archival research and hundreds of hours of interviews with residents, urban specialists and government officials past and present, “Between Ocean and City” is a clear-eyed and harrowing story of this community’s struggles and resiliency in the face of grinding poverty, urban renewal schemes gone wrong, and a forced ghettoization by the sea. Lawrence Kaplan, who has taught British and American history at the City College of New York, spent his formative years in Rockaway. Carol P. Kaplan is a practicing social worker and an associate professor at the Fordham University Graduate School of Social Service. Getting your blogs delivered to your Kindle is a great convenience. Dr. Judith Guedalia, director of Shaare Zedek Medical Center's Neuropsychology Unit, applies her psychological and neurological training to understanding how physiological dysfunction affects behavior in order to provide psychotherapy for patients with or without neurological problems. Among the many symptoms the Neuropsychology Unit has treated are emotional trauma, anxiety, depression, parenting and family issues, stress, children of divorce, self-esteem, patient adjustment to neurological or cognitive problems, adjustment to chronic illness, family adjustment to and coping with a member's illness and adjustment to developmental disabilities. Times' Krugman: Healthcare reform double cross by Barack W. Bush or William Jefferson Obama? Fox's Minnesota Beauty Queen, Gretchen Carlson, repeated three time during the two minutes that we had her on this morning that people were starting to call our president, "Barack W. Bush" because he is adopting some of the policy positions of his predecessor. We don't get why these right-wingers are mocking Obama for being hypocritical when he is capitulating to the stances that they want. In the Times, Paul Krugman brings up health care reform, another area in which Obama appears to be backing away from his strong promises. In this case, Krugman insinuates, the president appears to be aping the cowardice towards health care reform that was emblematic of former president Clinton. Krugman doesn't -- but we do ask if we should start to call our leader, William Jefferson Obama. Our Talmudic question. Why is it that you can pass credit card reform in one day but not so for health care reform? Is it that the overgrowth of the jungle of the latter is so much more complex, which it may be? Or is it rather that the politicians have no serious intention of passing such reform? We need government to get involved. The current state of health care is a nightmare, getting worse each day. 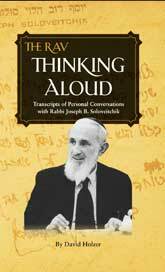 We are quoted in this local feature story about a new book of verbatim transcripts of my Talmud teacher and rebbe, the Rav. ...Rabbi Tzvee Zahavy of Teaneck, who studied with him from 1969 to 1973, said the book brought back wonderful memories. “The book is by an insider and for insiders. A lot of the casual talk that the rav probably thought was off the record reminded me of the conversations that I had with him in the car on the way to the airport,” said Zahavy, who often drove Soloveitchik from Yeshiva University to the airport when the rav traveled to his home in Boston. It's been a tough week for Ezra Merkin. First he was fired from his hedge funds and now forced out of his synagogue leadership post. Ezra's father Hermann Merkin founded the 5th Avenue Synagogue 50 years ago after he was forced out of the Park East Synagogue, known then as Congregation Zichron Ephraim. J. Ezra Merkin, the financier who entrusted sizable portions of his friends’ and investors’ money to what turned out to be Bernard L. Madoff’s Ponzi scheme, stepped down Wednesday night as an officer of the Fifth Avenue Synagogue, a wealthy congregation founded 50 years ago by his father, and whose members included some of Mr. Merkin’s largest individual investment-losers. Mr. Merkin disclosed his unexpected decision in a speech at the synagogue’s annual membership meeting, in which he declined the nomination to become chairman of the synagogue’s board of trustees. Ordinarily he would have assumed the chairmanship by custom, as the outgoing synagogue president. “He said he had decided that he needed to focus on a number of events in his life, and that to best serve the community and his family, he would decline the nomination,” said Rabbi Yaakov Kermaier, the congregation’s chief rabbi. The approximately 100 members present, from a total membership of about 300 families, “warmly applauded” Mr. Merkin’s speech, the rabbi said. Leaving the meeting Wednesday night, one member who declined to give his name said “there was a lot of relief” about Mr. Merkin’s decision. He said that in the weeks preceding the annual meeting, the general expectation that Mr. Merkin would take the largely honorific post of chairman had made for “a stressful period” for many members of the synagogue. By some accounts, the congregation as a group lost more than $1 billion in the collapse of Mr. Madoff’s scheme. Among its well-known billionaire members, not all of whom invested with Mr. Madoff through Mr. Merkin, are Ronald O. Perelman, the financier and corporate raider; Ira Rennert, who made a fortune in junk bonds and the Hummer; and Mort Zuckerman, the real estate magnate who owns The New York Daily News. Mr. Merkin acted as the intermediary to Mr. Madoff for another temple member, Elie Wiesel, the Nobel Peace Prize winner, who lost much of his personal wealth and the endowment of the Elie Wiesel Foundation for Humanity as a result. Mr. Merkin also lost large sums in Mr. Madoff’s scheme, and Mr. Sarna said there was a deep ambivalence toward him, “a feeling that he had done a lot of good for the temple over the years,” mixed with resentment over the Madoff disaster. New York Attorney General Andrew M. Cuomo has charged Mr. Merkin in a civil suit with misleading investors by taking $470 million in management fees while turning their money over to Mr. Madoff. He acknowledged that there were some who were angry. As for his own remarks to the group, Rabbi Kermaier said, “I tried to convey the view that hopefully we will all be able to take a few steps back and see this through the lens of a long history of communal service” by Mr. Merkin and his family. 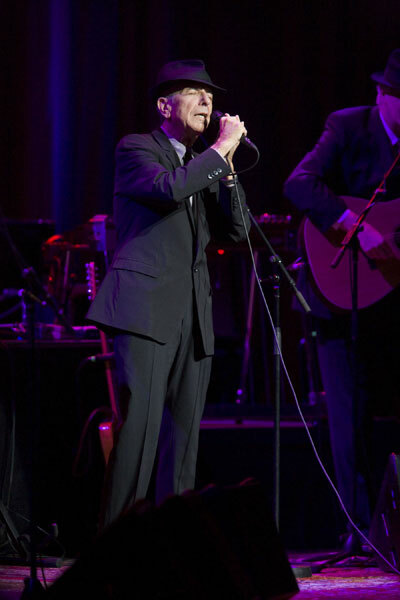 Is singer Leonard Cohen Jewish and Buddhist? Yes, songwriter and singer Leonard Cohen is a Jew. And yes he practices Buddhist meditation, but he says he does not accept Buddhist religious beliefs. About the meaning of those songs, Mr. Cohen is diffident and elusive. Many are, he acknowledges, “muffled prayers,” but beyond that he is not eager to reveal much. Mr. Cohen is an observant Jew who keeps the Sabbath even while on tour and performed for Israeli troops during the 1973 Arab-Israeli war. So how does he square that faith with his continued practice of Zen? The Concert was taken off the NPR site -- but you can hear the Times interview at the Times (click on the link on the left for the audio for Zen and Judaism). I think Friedman is wrong in supposing that his one-size-fits-all assessment is the only valid one. In any case, I have no such global solution to offer. All I tried to do was to set this question in its historical perspective by putting down almost everything I know about Scripture, its past as well as its present. Kugel does not claim to make or prove any case. He thinks that sharing his knowledge will be of interest to others. He has every right to his vanity. As he is a celebrity professor from Harvard, indeed many readers are eager to see what he has been thinking all these years. But this baffles Friedman and I can see why. He assumes that a book should attempt to make or try to prove some case. "Who wrote the Bible?" is a clear question and Friedman gives it an answer in his popular Bible book. By contrast, "How to Read the Bible," is not a question. In fact, the book should be called, "How I Read the Bible" since it is not a how-to guide at all. Kugel is confessing in this tome his life story of reading the Bible along with ancient and modern sources. Friedman picks up on this and accordingly sees the need for offering effusive praise to Kugel the man at the outset of his review. Sure you need to do this since the book is a confession of the inner musings of a special man. But then Friedman searches for the questions that the book seeks to answer. And not surprisingly he cannot find any big ones. Puzzled, Friedman decides that Kugel must be answering a set of questions inaccessible to Friedman. He must be speaking in the code language of the Orthodox Jews. We have rather moved on from their assumptions because the textual and archaeological evidence revealed that their assumptions were not correct. I realize how hard all of this is for Orthodox Jews and possibly for fundamentalist Christians. I have sat and studied with them, not as opponents but with mutual respect. If there is any meeting point between them and the people who are persuaded by critical scholarship, it should be that both recognize the Bible’s value and both are committed to the truth. Kugel’s book can be an exceptional starting point for that discussion. In this statement Friedman says that he does not understand the code and the discourse of the Orthodox and "possibly … fundamentalist Christians." But they seem to like the same Bible that Friedman analyzes. So they cannot be bad people. So he really does want to talk with them. The value of Kugel's book for Friedman is to provide a window into the mentality behind that secret code of the Orthodox. I suspect the folks at Christianity Today feel the same since they want to recognize Kugel's book for its value on its own terms. So now the question is whether this window into Kugel's thinking shows readers such as Friedman or the CT selection panel anything about how and what Orthodox Jews (as Friedman would have it) or all Jews (as Kugel would have it) think about the Bible. Kugel appears to concede that he'd like his book to be received by the reader as, "How to Read the Bible the way we Jews Read it." And the conceit in that presumption is that somehow Kugel has reached the pinnacle of clarity on this matter because of his rich erudition. Come to think of it, that is the underlying assumption of the class of religious leaders that we call rabbis. Due to their special knowledge, they achieve individually and as a class a special religious charisma. It's nice when rabbis speak or write in well-reasoned common sense ways to state a proposition and prove it -- which they often do. But it is not required of them. Their positions of charismatic authority allow them to take a great deal of leeway. Even the raw brain dump of a rabbi carries inspiring significance for the follower. Kugel speaks in this rabbinic mode in his magnum opus because that is how he sees himself after all -- as a rabbi. Ever respectful to the rabbi, Friedman speaks well of Kugel the man and his learning in his opening sections of his review. Richard more comfortably wears the robes of the academic and hence cautiously circles back around to say that he does not understand the purpose of Kugel's book, that it must be because it is written in Orthodox code, and that he would like to hear more from Kugel and the Orthodox. I frankly have to side with Friedman. I'd like to hear more from the learned professor Kugel about how he solves the problems of scholarship and makes new knowledge for some community -- be it academic or religious. Friedman has shown his commitment to this cause and has brought significant progress to his field of endeavor throughout his career. The solutions he posits to the questions he answers in his books and articles can be sifted through and built upon by those who come next. Kugel has thought great thoughts and now shares them with all of us. These notions will hang in the Jewish wing of the museum of great thoughts for the appreciation of the cultured viewer. Surprise visits are built in to the process of the kosher supervision of butchers, restaurants and food producers. The age-old concept is that a mashgiach must have the right to "come and go" as he sees fit, otherwise a butcher could easily conceal any of his violations of the kosher laws before any scheduled inspections. Common sense. Looks like the SEC is getting it too, thanks to that not-so-kosher butcher of investments, Bernard Madoff. The Fox writer below doesn't think this style of supervision will help prevent all the future Ponzi schemes, "The SEC's proposed system would not have stopped Madoff's scheme before it started; it might have stopped his scam from growing so large." In Talmudic terms, Mashgiach supervision will not guarantee that all the meat you eat is proper. But it certainly helps keep things kosher. BOSTON -- Apparently the way to stop a guy like Bernie Madoff from making off with gazillions of dollars is to threaten him with a pop quiz. That may not have been the message that regulators intended to send last week, but that's how it came across. The Securities and Exchange Commission voted unanimously to require most investment advisers to submit to surprise exams by outside auditors. The proposal is open for public comment for 60 days, after which it can be formally adopted. The idea of these surprise exams is simple: Crooks like Madoff basically can deceive the public about the health of the funds they run. If they are forced to periodically and without warning open the books, they won't be able to keep a con game rolling; with the rising tide of Ponzi and pyramid investment schemes, this measure will make it harder for bad guys to succeed. The NY Post reports on a synagogue board election! Can the coming of the messiah be far away? That's what some members of the tony Fifth Avenue Synagogue are saying about embattled financier J. Ezra Merkin, who's about to ascend to chairman of the temple board despite luring fellow worshippers into the clutches of Ponzi schemer Bernard Madoff. The moneyed synagogue, where Revlon CEO Ron Perelman and writer Elie Wiesel worship, was dubbed "The Temple of Doom" last December after insiders estimated members lost $2 billion in the swindle. "He's tearing the synagogue apart," seethed one member leaving services at the Upper East Side temple yesterday. "People cannot stand to look at him standing at the bimah. When he stands and holds the Torah, people want to throw up." Members will vote on a board-approved slate of officers Wednesday, and although many object to Merkin leading the prestigious institution, "no one wants to be the one to stand up in public and say do the right thing and step aside," the member said. "If people were able to vote anonymously, only a handful of people would support him," she added. "Everybody else wants him out." Merkin, a hedge funder and son of the synagogue founder Hermann Merkin, funneled $2.4 billion of his clients' money to Madoff, authorities have alleged. In April, state Attorney General Andrew Cuomo slapped Merkin with civil fraud charges, alleging he grabbed $470 million in fees and performance bonuses by tricking clients into thinking he was investing their cash responsibly. Merkin faces a slew of lawsuits from NYU and Yeshiva University, which entrusted huge sums with him, only to see it disappear into Madoff's hands. All along, Merkin has proclaimed his innocence, saying he and his three hedge funds -- Ascot, Gabriel Capital Corp. and Ariel Fund -- were victims of the scheme themselves. Although the synagogue coffers weren't drained, several prominent members admitted to personally getting soaked, including current Chairman Ira Rennert, who said he lost $200 million. That's why some members are outraged that Merkin is being rewarded rather than rebuked. "I don't like it one bit," said a longtime member. "I think people are definitely raising their eyebrows. As long as the appearance of impropriety is there, and it is, I think plenty of people are very uncomfortable." Although presidents traditionally become chairs when their terms end, it's puzzling that Merkin is accepting the prestigious role considering he stepped down in shame as chairman of GMAC and as a trustee at Yeshiva University. "I don't even understand why he wants to be chairman," one member said. "You'd think he'd want to duck out of the spotlight." Merkin has "agreed" to be stripped of control of his hedge funds, but he still is "available to consult..."
Which part of "You're fired Ezra" don't you understand? J. Ezra Merkin, the New York financier who lost more than $2.4 billion of his clients’ money in Bernard L. Madoff’s Ponzi scheme, has agreed to place his three hedge funds into receivership and turn them over to a liquidator, Guidepost Partners. “As part of his continuing efforts to maximize the returns to investors in the funds, Mr. Merkin has agreed in principle to appoint Guidepost Partners, a leader in global investigations, security, and compliance, as the receiver for the funds while he remains available to consult regarding the wind-down at no cost to the funds,” Andrew Levander, a lawyer for Mr. Merkin, said in a statement. Is "Pharisee of Pharisees" an antisemitic slur? The road to antisemitism is paved with well-intentioned Christian theologians. Below you will find one of the best demonstrations of that saying (which I just coined). The author of the post that I cite, no doubt had the best of intentions to write some good Christian theology about the Pharisees. But instead of rehabilitating the Pharisees, he insults me further. You see, I am a rabbinic Jew and a direct spiritual descendant of the ancient Pharisees. The author says in apparent innocence, "If someone called you 'a Pharisee of Pharisees' today, it would be one of the worst insults you could receive." He then goes on to explain that is wrong -- even in the New Testament, the Pharisees are not all bad. My life and my world is predicated on the notions that my faith is not a "burden," or "problematic" or "impossible to bear." Yet the author sees nothing wrong with a religion that preaches that those slurs about my religion are facts. Let me be clear. When a Christian says that my religion is all those things, I see that as antisemitism. When a Christian theologian says that those beliefs are at the core of his faith, I see that as evidence that Christianity is essentially antisemitic. I don't think the well-meaning author of this CNA essay understands how I see things. And that makes me sad. As I mentioned in an earlier post, we cannot hope to understand St. Paul without first exploring his B.C. (before Christ) timeline. He was a tri-part person - a Jew (from the tribe of Benjamin and a member of the Pharisee movement), a Roman citizen raised in a Hellenized (Greek) culture, and a disciple of his Resurrected Rabbi, Jesus. This week we will look at St. Paul in the context of his Pharisee background. If someone called you "a Pharisee of Pharisees" today, it would be one of the worst insults you could receive. In our time, a Pharisee has been reduced to a self-righteous hypocrite. Although Christ reserved some of his harshest criticism in the Gospels for the Pharisees, he also encouraged obedience to their teaching, while challenging the hypocrisy of some. In Matthew 23, Jesus highlights this fact, "practice and observe whatever they tell you, but not what they do; for they preach, but do not practice" (23:3). And all Pharisees were not the enemy of Christ and his Church. In the Gospels, some Pharisees warned Jesus of Herod’s murderous plans (Luke 13:3), and one of the greatest Pharisees in history, Gamaliel, urged Jewish leaders not to persecute the followers of Christ (Acts 5:34). St. Paul wasn’t embarrassed to be a "Pharisee of Pharisees," and he never considered it something he must lay aside to follow Christ. Decades after his conversion, when he proclaimed the Gospel before the Sanhedrin, he declared, "Brethren, I am a Pharisee, a son of Pharisees" (Acts 23:6, author’s emphasis). At the same time, the moment he met Christ on the Damascus Road, he would have to revisit everything he believed, and radically expand the boundaries of his belief. I believe this is why he went to Arabia (possibly even Mt. Sinai), to re-orient his ideas about the God of Israel (not unlike Moses and Elijah). After meeting the Resurrected Christ, the Pharisee of Pharisees would spend most of his energies converting the Gentiles, yet this was not inconsistent with his Jewish heritage. The Old Testament prophets spoke of a light to the Gentiles (Isa. 42:6), language that the Lord will use of his servant Paul (Acts 13:47). Pharisaism, in general, was consistent with the revelation in Christ, by preaching the resurrection of the dead (something the Sadducees rejected), and Paul’s writings, although influenced by Greek rhetoric, also show his knowledge of Jewish hermeneutics and halakah. One of the ways Pharisees did become problematic is by creating "fences" around the Law. Pharisees recognized that the Jewish people were still under a kind of Exile. Although they had returned to the land, they were still under foreign occupation - a curse reserved for those who had broken covenant with God. The Pharisees believed that the only way to lift this occupation was by absolute holiness and obedience to the Law. Fearing that an average Jew may break a single commandment of the Mosaic Law, they created many additional laws around a single law (like a fence) to reduce the possibility of disobedience to God’s Torah. Unfortunately, this multiplication of laws became a burden. This is precisely Jesus’ critique of them in Matthew’s Gospel (Matthew 23:4). A Rabbi or teacher’s "yoke" was his interpretation of Torah. The Pharisees yoke became impossible to bear, and Jesus did not hesitate to challenge their approach and to offer a different interpretation of Torah that could bring life (Matt. 11:29). Judaism today is a descendent of Pharisaism, and although there are clear differences in our beliefs, we can continue to learn from what John Paul II called our "elder brothers and sisters." I like how the Catechism puts it, "A better knowledge of the Jewish people's faith and religious life as professed and lived even now" can help us better understand our life of prayer, liturgy and approaching God’s Word (see Catechism, No. 1096). I was thrilled to see Benedict XVI announce that Rabbi Shear-Yashuv Cohen (the Grand Rabbi of Haifa, Israel) would address the upcoming two day Synod of Bishops on the Word of God. For more information about the Synod keep an eye on a site I am collaborating with www.ScriptureSynod.com. No, Bible verses on cover sheets is not the issue we want to discuss. How about you keep on putting Bible verses on the cover sheets - only change the contents of the Pentagon reports to say that the war is over and the soldiers are coming home immediately? Here's a Bible verse to use: "Turn from evil and do good; seek peace and pursue it (Ps 34:14)." WASHINGTON (AP) — The Pentagon said Monday it no longer includes a Bible quote on the cover page of daily intelligence briefings it sends to the White House as was practice during the Bush administration. Pentagon spokesman Bryan Whitman said he did not know how long the Worldwide Intelligence Update cover sheets quoted from the Bible. Air Force Maj. Gen. Glen Shaffer, who was responsible for including them, retired in August 2003, according to his biography. For a period in 2003, at least, the daily reports prepared for President George W. Bush carried quotes from the books of Psalms and Ephesians and the epistles of Peter. At the time, the reports focused largely on the war in Iraq. The Bible quotes apparently aimed to support Bush at a time when soldiers' deaths in Iraq were on the rise, according to the June issue of GQ magazine. But they offended at least one Muslim analyst at the Pentagon and worried other employees that the passages were inappropriate. On Thursday, April 10, 2003, for example, the report quoted the book of Psalms — "Behold, the eye of the Lord is on those who fear Him. ... To deliver their soul from death." — and featured pictures of the statue of Saddam Hussein being pulled down and celebrating crowds in Baghdad. "Therefore put on the full armor of God, so that when the day of evil comes, you may be able to stand your ground, and after you have done everything, to stand," read the cover quote two weeks earlier, on March 31, above a picture of a U.S. tank driving through the desert, according to the magazine, which obtained copies of the documents. The Rev. Barry W. Lynn, executive director of Americans United for Separation of Church and State, on Monday said U.S. soldiers "are not Christian crusaders, and they ought not be depicted as such." "Depicting the Iraq conflict as some sort of holy war is completely outrageous," Lynn said in a statement. "It's contrary to the constitutional separation of religion and government, and it's tremendously damaging to America's reputation in the world." In an important step in the institutionalization of Islam in America, the leaders to the Zaytuna Institute have announce plans to become the first Islamic liberal arts college in the US. We welcome this as an important milestone in the maturation of the Islamic community. Curiously... the original main building at the campus of the Orthodox Jewish Yeshiva University in Washington Heights in New York City (pictured above) always looked to us like a perfect design for an Islamic college. PLAINSBORO, N.J. --A group of American Muslims, led by two prominent scholars, is moving closer to fulfilling a vision of founding the first four-year accredited Islamic college in the United States, what some are calling a "Muslim Georgetown." "As a faith community our needs aren't any different than the needs of any other faith community," Shakir told the Council for the Advancement of Muslim Professionals, as he sought donations at a recent conference near Princeton, N.J. "As Muslims, we need to develop institutions to allow us to perpetuate our values." Others have tried to start Muslim colleges around New York and Chicago, but those schools remained obscure or quickly folded. Shakir and Yusuf are believed to have a better chance than most to succeed. Shakir, an African-American Air Force veteran, and Yusuf, a native of Washington state, are converts who spent years studying with Islamic scholars in North Africa and the Mideast. They speak flawless Arabic and have become widely respected teachers. Yusuf draws thousands of people to his talks and tens of thousands of viewers to his online lectures. In 1996, Yusuf founded Zaytuna Institute, now based in Berkeley, Calif., which is dedicated to classical Muslim scholarship. Zaytuna means "olive tree" in Arabic. The institute expanded to provide distance learning, workshops in multiple cities and conferences with prominent scholars. Shakir, a Zaytuna teacher for six years, ran a pilot seminary program from 2004-2008, partly to test the viability of a school. An intensive Arabic language summer course, in its second year, has doubled its enrollment. "It is far and away the single most influential institution that's shaping American Muslim thought," said Omid Safi, an Islamic studies professor at the University of North Carolina-Chapel Hill. "On the one hand they speak so much about being American. On the other hand, they have also plugged these American Muslim students into the global Muslim curriculum, that has all the rigor of traditional Islamic scholarship." In earlier years, Shakir and Yusuf had made some anti-American statements, but that rhetoric is not part of their teaching. Zaytuna Institute has clips on its Web site of a lecture by the two scholars called "Curing Extremism." Following a White House meeting with President George W. Bush soon after the Sept. 11, 2001, attacks, Yusuf made the now widely repeated comment that "Islam was hijacked" by the terrorists and he has condemned the attackers as "mass murderers." A working motto for the school: "Where Islam Meets America." Zaytuna College will start with two majors: Arabic language, and Islamic legal and theological studies. It will not be a seminary, although some graduates could become prayer leaders, or imams. Most U.S. mosques are led by imams from overseas, considered an obstacle to Islam's development in America. Other students could go on to start American Muslim nonprofits, or become Islamic scholars through advanced study at other schools, said Hatem Bazian, a Zaytuna adviser who teaches at the University of California-Berkeley and Saint Mary's College of California. But administrators aim to teach analytical skills, along with ethics and theology, that can prepare students for many professional careers. Zaytuna will start in rented space in Berkeley and will seek accreditation from the Western Association of Schools and Colleges. All faiths will be welcome, academic freedom will be protected, and there will be no separation of men and women, Bazian said. "It is a daunting task, there is no question about it," Bazian said. "But I'm completely confident and comforted that almost every major private university began with one classroom and possibly one building and sometimes it was a rented facility to begin with." The college needs $2 million to $4 million to launch, a fundraising goal Bazian says organizers will comfortably meet by next year. Zaytuna will soon start raising the tens of millions of dollars needed for an endowment and a capital fund to build a campus in the Bay Area years from now, Bazian said. Mahmoud Ayoub, a retired professor of Islamic studies Temple University, is among those who don't support the idea of a U.S. Muslim college, not only because of the enormous expense and risk involved, but also because he believes Muslims are better off attending established American schools. He said U.S. Muslims badly need a seminary since there are none in the country. "I don't know that I would send my child to go to a college where they can only learn tradition. Young people have to live," said Ayoub who has worked with the U.S. State Department, representing America in the Muslim world. "I like mixing people. I don't like ghettos." But Zaytuna considers the state of Muslim scholarship in the West so "anemic" that a crisis is looming. The Muslim community in North America and Europe, now in the millions, is growing, and has few properly trained leaders to guide them. "Who will talk for the religion?" Shakir asked. "We have to train a generation." Is Woody Allen a Hasidic Jewish Rabbi? Woody Allen is a Jew but he is not a Hasidic rabbi. He did appear as a bearded rabbi in a scene in his movie Annie Hall and in some other scenes in his other movies. Woody was due in a NY court today in connection with his $10 million lawsuit against American Apparel for their billboard depicting him as a bearded Hasidic Jew. Allen claimed he did not give the company permission to use a frame of him from his film "Annie Hall." American Apparel claimed it was exercising its freedom of expression with the billboards in 2007 in Hollywood and New York. Company founder Dov Charney (also Jewish and also not a Hasidic rabbi) settled today at the last minute with Allen for a reported $5 million. "I am told the settlement of five million dollars I am being paid is the largest reported amount ever paid under the New York right to privacy law," Allen told reporters outside Manhattan federal court where the case was being heard. Allen was not wearing a beard, a black hat and glasses when he made that statement. We are pretty sure we were passed by Michelle Obama's motorcade at about 9 A.M. on the FDR Drive this morning. ...On Monday, Michelle Obama will be in New York City for a day with the Mets — and we're not talking baseball, as the National League East leaders will be hunkered down in Dodger Stadium, opening a series with our home team. We did not know how popular the Met Museum was. There is a scary Times op-ed today by Jeffrey Goldberg about Benjamin Netanyahu's beliefs in Amalek. The column is an amazing and penetrating review of Netanyahu's worldviews as they pertain now especially to Iran. As we interpret it, Goldberg argues that in the guise of historical narrative, Bibi was fed by his father a set of religious and mystical beliefs about the nature of antisemitism in the world and the recurring danger of a transcendent archenemy of the Jewish people, who must be labeled by the ancient near Eastern tribal name "Amalek." My rebbe, the Rav, Rabbi Joseph B. Soloveitchik, lectured frequently on the truth of the two-part Amalek narrative in rabbinic Judaism. In every generation, the first part of the story goes, there is a tribe or nation that rises up to obliterate our people. The Rav proposed that in the 1940s Amalek was the Nazis. In the 1960s Amalek was the Russian communists. These instances of national antisemitism are political and historical facts that can be examined and verified or falsified. The notion that this trend repeats itself eternally -- well that is a mystical religious belief and one that we really don't want our political leaders to base their decisions on. The second part of the Rav's (and Judaism's) Amalek narrative is where the religious obligation kicks in with a literal vengeance. You see the rabbis teach that it is a high level mitzvah to attend synagogue to hear the reading of Parshas Zachor -- the ominous warning about Amalek -- on the Shabbat before Purim, before the reading of the book of Esther in which Haman -- a descendant of the Amalek tribe -- proves the religious and mystical theory to be absolute historical fact. In that biblical book's narrative, Haman tries to exterminate the Jews of Persia. But through cunning and guile and an implied divine intervention, Mordecai and Esther foil his plot. According to the rabbis, and the biblical text is quite clear on this too, the mitzvah in the Torah is to blot out the very memory of Amalek. Hence, and this is what scares me, the very essence of ancient near Eastern account of Amalek is the license to kill. You must obliterate the nation that wants to obliterate you. Goldberg makes it clear that he believes that Bibi Netanyahu operates under the license of Amalek. What he does not spell out in the Times is that religious Jews believe that gives them a blank check to do anything and everything to their mortal enemies -- including to commit a preemptive genocide against them.We specifically filled in the blanks to spell out the whole religious and mystical narrative of Amalek. So yikes. Now we have both sides reading from the religious texts of the ancients -- only they are not in Sunday School. Both sides possess the weapons and armies and are loudly beating the drums of war. It appears to us that Goldberg comes to the Times with a raw message so urgent that he puts it up in his op-ed's title, "Israel's Fears, Amalek's Arsenal." Our fears go way beyond Goldberg's op-ed. We fear an imminent conflagration between two sovereign political states -- both possessing great resolve and both possessing way too much religion and mysticism which colors and even guides their worldviews and their policies. Accordingly, we hope that Goldberg has overstated his case regarding Netanyahu's worldview. We pray that Bibi is not a true believer in the ancient mysteries of Amalek - rather that he is a tough and imaginative pragmatic and realistic political leader and modern-world statesman. We do need a commission of inquiry into the Bush years. It's not just the 3000 dead in the WTC attack on his watch and the 4296 dead in his personal Iraq war. It's the legacy that will haunt us for decades. We need to clear the air. ...This Sunday, GQ magazine is posting on its Web site an article adding new details to the ample dossier on how Donald Rumsfeld’s corrupt and incompetent Defense Department cost American lives and compromised national security. The piece is not the work of a partisan but the Texan journalist Robert Draper, author of “Dead Certain,” the 2007 Bush biography that had the blessing (and cooperation) of the former president and his top brass. It draws on interviews with more than a dozen high-level Bush loyalists. 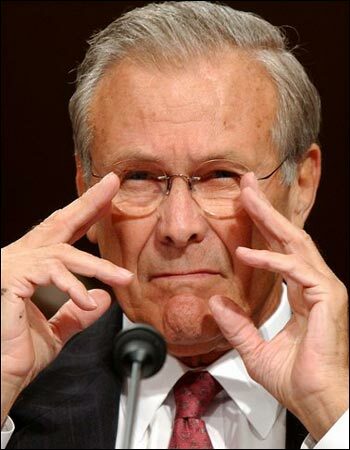 Draper reports that Rumsfeld’s monomaniacal determination to protect his Pentagon turf led him to hobble and antagonize America’s most willing allies in Iraq, Britain and Australia, and even to undermine his own soldiers. But Draper’s biggest find is a collection of daily cover sheets that Rumsfeld approved for the Secretary of Defense Worldwide Intelligence Update, a highly classified digest prepared for a tiny audience, including the president, and often delivered by hand to the White House by the defense secretary himself. These cover sheets greeted Bush each day with triumphal color photos of the war headlined by biblical quotations. GQ is posting 11 of them, and they are seriously creepy. When we translate our ideas to the print medium, the output gets longer, gets edited and gets read by different readers. Here's our guest column from our local Jewish newspaper of record, the Jewish Standard. When we say that we aspire to live the talmudic life, that means two things. First, it means that we question rigorously all those facts and influences around us. We especially separate our certainties from our doubts. And second, it means that we live in constant touch and tension with our present world to which we can respond and sometimes over which we can exercise some control. A good talmudist does not pretend to have dominion over the unknown future. Is Senator Charles Chuck Schumer Jewish? 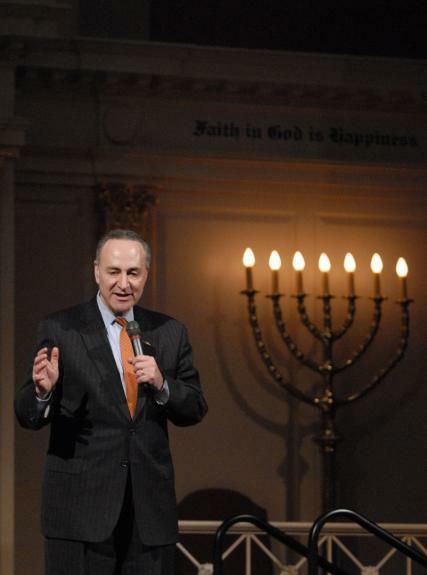 Yes, New York's Senator Charles Chuck Schumer is a Jew. Schumer was born in Brooklyn, New York to Jewish parents, Selma Rosen and Abraham Schumer. He attended Harvard College, where he became interested in politics and campaigned for Eugene McCarthy in 1968. He continued to Harvard Law School, earning his Juris Doctor in 1974. On May 15, 2009 news media reported that Arkansas State Senator and U.S. Senate candidate Kim Hendren called Senator Charles Schumer "that Jew." He did correctly identify Schumer's religion, but some of the candidate's political opponents criticized the remark in its context as unacceptable, derogatory and an indication of prejudice. Hendren apologized for his remark. Is David Geffen Jewish and does he want to buy the New York Times? Yes, David Geffen is a Jew. Wikipedia reports, "He was born into a European-Jewish family in Brooklyn, New York. David Geffen's father, Abraham Geffen, is of Polish ancestry, and his mother Batya Volovskaya is of Ukrainian ancestry. Both were immigrants from Europe who met in the Land of Palestine (before the creation of Israel) and then moved to Brooklyn. Geffen graduated from New Utrecht High School in Brooklyn... His mother owned a clothing store, Chic Corsets By Geffen, in Borough Park, Brooklyn." Newsweek reports that the record and film mogul wants to buy the New York Times and convert it to a non-profit venture. Inside David Geffen's play for The New York Times. At 66, David Geffen has amassed a fortune that Forbes estimates at $4.5 billion in its annual list of the global megawealthy. The Hollywood impresario, one of the world's most prescient investors, has scored mammoth returns in art and hedge funds, having cashed out of the financial and art markets well ahead of the crashes. But the foundation of Geffen's wealth—and his first love—remains the media industry, where his touch has been consistently golden, managing and producing legendary music acts such as Joni Mitchell and the Eagles and to helping launch DreamWorks. Page six of the New York Post reports on synagogue leadership gossip for the first time. How proud they must be over at the Fifth Avenue Synagogue! J. EZRA Merkin, the Bernie Madoff middle man being sued by investors who lost hundreds of millions in Madoff's Ponzi scheme, is thoroughly detested in certain circles. But it isn't stopping the elite Fifth Avenue Synagogue from honoring the hedge fund manager in a big way. On Wednesday, Merkin, who's been president of the synagogue, will become its board chairman, The Jewish Week reports. He'll succeed Hummer tycoon Ira Rennert, who becomes honorary chairman. The busy Merkin faces a civil fraud suit filed by state Attorney General Andrew Cuomo. 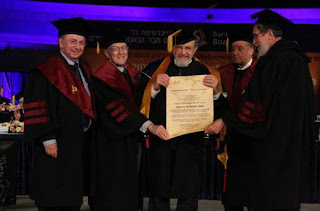 In what seems to be a counter-intuitive turn of events, the Conservative and Reform Jewish Seminaries want to give Orthodox Rabbi Norman Lamm Honorary Degrees. Spokesmen from both the Hebrew Union College and the Jewish Theological Seminary explained to us that Orthodox Rabbi Norman Lamm's quotes in a Jerusalem Post interview have been a major boon to fund raising for both institutions. Both schools want to honor him with special BS degrees. "The Conservatives are in a mood of despondency and pessimism. They are closing schools and in general shrinking," he said. The hierarchy of the Union for Reform Judaism - Union of American Hebrew Congregations and administration of the Hebrew Union College applauded Rabbi Lamm for this quote, what they called a "fund-raising home run,"
"The Reform Movement may show a rise, because if you add goyim to Jews then you will do OK," added Lamm, referring to the Reform Movement's policy, starting in 1983, of recognizing patrilineal descent. Yeshiva University officials were quick to issue this clarification, "We have lauded Rabbi Norman Lamm for years as our master fund raiser. We are pleased to see that he continues his leadership in this field, though we wish he would have stuck to helping us." After we were Lamm-basted this week with another ortho-gaffe from Stormin Norman, we dusted off this post from August 2006 (reposted August 2007) and revived it in its original form with a slightly modified title. It says a few things that we need to say again. A recurring premise of our people's pundits is that the fall-off in American Jewish population numbers indicates a decline in Jewish life. New York Magazine put the question, "Are American Jews Disappearing?" on its front cover back in July of 1997 (Craig Horowitz, "Are American Jews Disappearing?" July 14, 1997, pp. 32-33.). This provocative challenge underscored that the community is declining in sheer numbers. More recent Jewish population studies confirms that fact. But this is far from a subtle way to assess the state of American Jewry. What about other statistics of note? Are we as a community declining in total net worth? Are we decreasing in political and cultural influence? Do we study less Talmud? Apparently, what worries the pundits the most is the obvious and superficial aspect of our ethnic reality, i.e., that we are going down in number due to intermarriage and assimilation. We will soon need a Kaddish for American Jews, if we are to believe Rabbis Ephraim Buchwald and Norman Lamm -- and a small but vocal cadre of their cohorts -- as quoted in the New York Magazine several years ago and as they continue to shout today. The soaring intermarriage rate will lead to the disappearance of our community they say. It is a "spiritual holocaust." A century ago a Jewish mother might tell her son, "Marry a shiksa and you might as well put a knife in my heart!" At then end of the century a pious rabbi does tell not just his flock, but the large readership of a major magazine, "Marry a shiksa and you are killing the Jewish people." We could call this the transformation of Jewish guilt from family dynamic to communal motivator. Fiction writer Philip Roth in American Pastoral recently provoked us with yet another view of our social reality. Roth created in that novel a quintessential American Jew -- a Jewish sports hero, Swede Levov, who marries a Gentile beauty queen, and who does not live happily ever after. On the contrary, this breeding produces a mutant offspring, a daughter Merry, who turns into a revolutionary terrorist, blows up a post office and must go underground as a fugitive. Some of our popular rabbis provoke us even further. "There are no barking dogs and no Zyklon-B gas," Rabbi Ephraim Buchwald proclaimed nearly hysterically to New York Magazine. "But make no mistake. This is a spiritual Holocaust. For all practical purposes, the American Jewish Community is committing suicide, and no one is saying anything about it." Actually, even the most cursory glance at the Judaica bookshelves of any major bookstore will convince the observer that lots of people are talking and writing about "it." Many though are writing in a prophetic mode, not an analytical manner. Did this Rabbi consider how rude and thoughtless this population numbers comparison is to countless Holocaust survivors and numerous intermarried but sincere Jews? Facts do matter. But they can be dry and boring. Rhetoric entertains. The louder the better. I insist that the population numbers do not matter. Our people thrives. We have survived the Holocaust. We have returned and built a miraculous State in Israel. We do need to insure our peace and security for the here and now. We also do need to improve the quality of Jewish life and leadership for today's Jews. We should agree that population studies do not matter. Hysterical and insulting rabbis do not matter. God knows the numbers. We must do our part: continue to have faith.